I just want to be known as a very normal person and be tested as that and be able to walk down the street like anyone else. 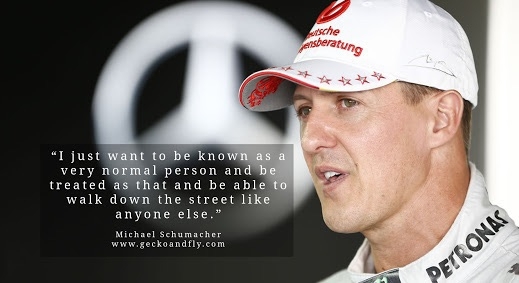 "I just want to be known as a very normal person and be tested as that and be able to walk down the street like anyone else." No matter how famous or rich you get remember to be humble and know that the simple things in life are truly what makes you wealthy. "Awards come with the blessings from God and it encourages you. At the same time it is not the end and it's a promise and you feel ashamed and ask yourself, "What have I done to get this?" 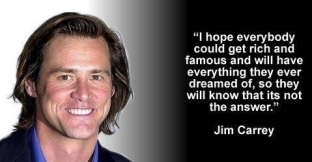 "I hope everybody could get rich and famous and will have everything they ever dreamed of, so they will know that it's not the answer"
Having all the money and fame in the world will never make you happy. Happiness lies in the relationships in your life. 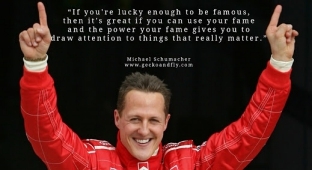 "If you're lucky enough to be famous, then it's great if you can use your fame and power your fame gives you to draw attention to things that really matter." Be the example you want to see in the world. Be humble and yet be passionate for success. "I've come from nowhere. and I'm not shy to go back." Work hard to get to where you dream of, but never ever forget where you came from! 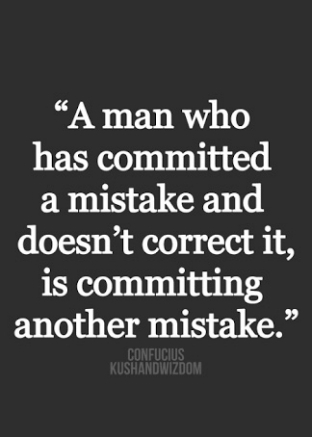 "A man who committed a mistake and doesn't correct it, is committing another mistake." You need to admit your mistakes first, only then will you learn and progress forward. Take your share of risks, it's the only way to get what you want. Teamwork will bring out the best in you but you also need to be ready to push your teammates to be their best. Be ambitious. There are no limits to what you can achieve. Always be ready for your next challenge in the race of life. Taking risks is important but be smart and take calculated risks. This is the secret to change and progress.